Psychic mediumship readings seminar with Angelina Diana . Finding peace and connecting to love by understanding the Energy Around you . Psychic Medium Angelina Diana (her born name) had been a popular radio host & newscaster for many years, until the world of connecting to energy came into her life. At first, she studied it privately to make her life better. Then the urge to interview psychics and mediums grew stronger. She then realized that there were those practitioners “in the work to heal and those in it to steal (your money)!” After Angelina received many personal validations from the energy world, she decided to read other people to see if there was evidence. Angelina was surprised to receive more requests to do readings because it “helped’ them. She decided to leave the world of broadcasting, to broadcast other information….from the other side. Angelina also has the distinction of being the first medium to be certified by Forever Family Foundation when they began their program in 2005. After she passed the test the first time She went through the certification program various time to help them refine the program to open it up to other mediums. Angelina has also been a host – “Signs of Life” since it’s inception from 2006 -2013. She lent a hand in the programming, production, formatting and creation of their interview show that has noted scientists in the field of survival of death as well as noted authors and other mediums. Angelina has had the opportunity to use her past media experience and bring her on air readings, messages of hope and spiritual teachings to television and radio. 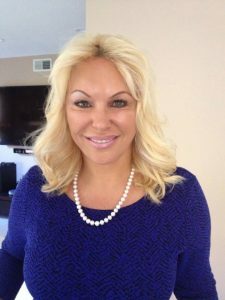 She is the resident psychic medium on Courtney and Kiss in the morning on 95.7 FM since 2005 She has the honor of being on Better Connecticut WFSB Channel 3 (CBS), FOX 61, WTNH 8 ( ABC) and Channel 30 ( NBC) in Connecticut. She has also made other TV appearances in Massachusetts WGGB Channel 40 ( ABC) and WWLP Mass Appeal Channel 22 ( NBC) and Arizona. She also produced and host her Cable Access show on Cox Cable PA15 shown throughout the Connecticut area. She wishes to be a resource to help clients discover their own natural psychic ability, and if they have experiences a loss, help them understand their ability to connect to their loved ones on the other side. Free Admission and Parking. All are welcome! !